In this series, young Ivy escapes from a cellar in which she'd been imprisoned by a kidnapper for 13 years. As she struggles to deal with her new life of freedom, and as the police try to track down her kidnapper, Ivy's story about her kidnapping begins to show inconsistencies. Gradually, the authorities begin to suspect that they're not getting an accurate version of events from her. The series aired on the BBC in 2016. Ivy is arrested and questioned about the body discovered at Colbridge Road. She shuts down and it is up to Christina to set Ivy free from the guilt that burdens her. Ivy takes a chance to trust again only to be betrayed, and the investigation into the missing girl raises more questions about Ivy's time in captivity. 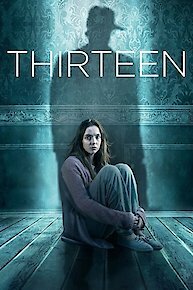 Thirteen is currently available to watch and stream on BBC America. You can also buy, rent Thirteen on demand at Amazon Prime, Amazon, Vudu, Google Play, iTunes online.